Still bitter about the Saints’ NFC Championship loss two weeks ago due to a missed penalty call by the referees, New Orleans stayed away from the Super Bowl in record numbers. Super Bowl LII earned a 26.1 television rating in the Big Easy, the lowest rating in modern New Orleans history and the lowest rating in the United States. Bars refused to put the most watched sporting event of the year on television, opting instead to play Super Bowl XLIV from 2010, which the Saints won. 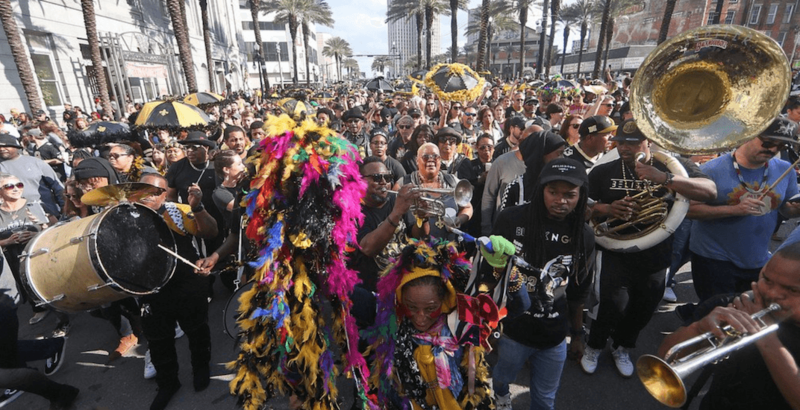 While the rest of us were watching the most boring Super Bowl game of all-time, fans decked out in Saints gear filled the streets of New Orleans for a Mardi Gras-style celebration. It began with a parade through the French Quarter, wrapping up with free street concerts.